When I saw Mompact talking about Real Moms, I though to myself – Every Mom is a Real Mom. We’re just all different in how we approach things. What do they mean REAL Moms? So I started giving it some thought, and came up with this fun little picture. I think MOST Mom’s can relate to the above experience. 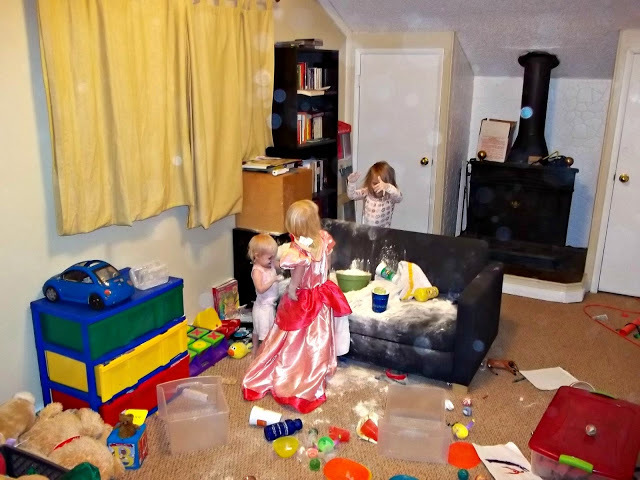 Kids find something they shouldn’t, get into it, make a mess in 2 seconds flat. How in the world did we as Mom let this happen?! Weren’t we watching them? Don’t we spend every waking moment right next to them, playing, teaching, crafting, and having fun? The truth is we don’t. That’s not to say I go off and eat bonbons while my kids run a muck No. No. This flour (yes friends, that is about 5 lbs of flour!) incident happened when I took 5 minutes to go put clothes on. I wasn’t getting a shower that morning (don’t be offended, but I don’t get a shower most days), I wasn’t playing on facebook. I wasn’t even blogging on this particular morning. What did happen? Let me recount. I had gotten up that morning, ready to tackle the day. I fed the kids, and got them dressed. One even made it all the way to dress up clothes! While they were harmlessly playing with their toys, I ran down to our room to wake up Mark and get myself dressed. As most mornings go, I skipped a shower, waiting for a time when Mark could watch the kids, and I didn’t have things that needed doing. So I’m dressed and headed back up for a fun filled day, when I walk into this. My first reaction was wanting to cry. Something must have gone right that morning though, and I took the moment to capture the utter joy on my kids faces. This – this is where mothering will show it’s true colors. I could have been angry and yelled. I could have thrown our couch out instead of cleaning it. Instead – I laughed. I took some photos to remember. It’s surprising actually how often I find myself searching for this photo – just to laugh. I then shook off the kids clothes, pulled out the vacuum and did some major cleaning of floor and couch. I don’t even remember what I was doing this time. Probably eating bon bons while cooking something like Macaroni and Cheese for lunch. I try to be honest with you. My life is not perfect, my house is not clean all the time, but I do the best I can. Right now, in this crazy ride called Motherhood, I find it to be most real when my kids are smiling and laughing. I can ignore the messes, forget the burnt dinner from the night before, and just enjoy the moments. 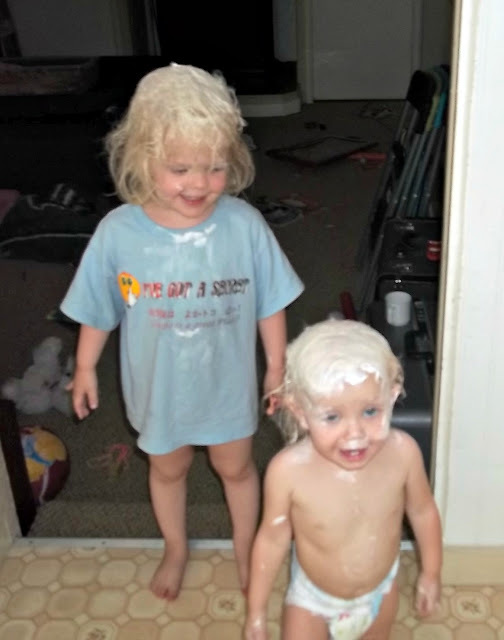 The joys of parenthood…the side that nobody wants to scare off anybody with…lol. Does anybody else count down the hours and minutes and seconds until naptime or bedtime besides me? Ooohhhh yes! Naptimes and bedtimes are my saving grace! Hillarious. 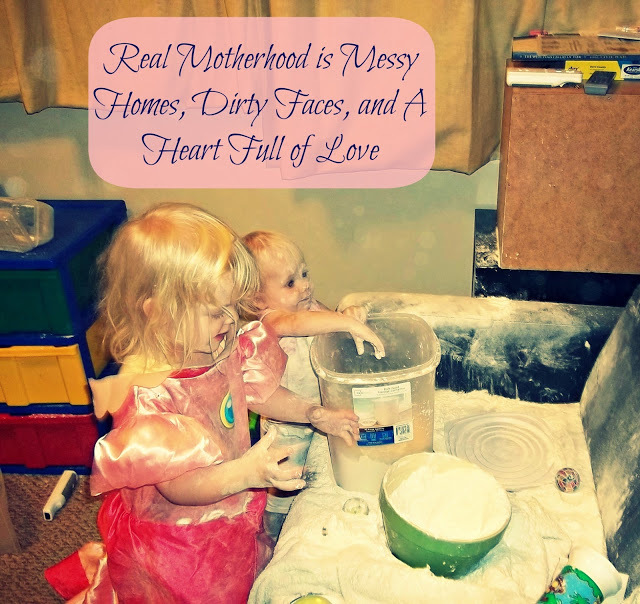 yep, mommyhood is all about that. hopping from the fb SITS Girls' page. Love it!! I need to remember this attitude. My kids are teens, and we still have disasters like this! I would've died. Right there. I'm anxious just seeing the pictures. Good for you for handling it like a champ though. I might have to take pictures of my train wreck of a house to share. It really was either laugh or cry and never stop, lol. 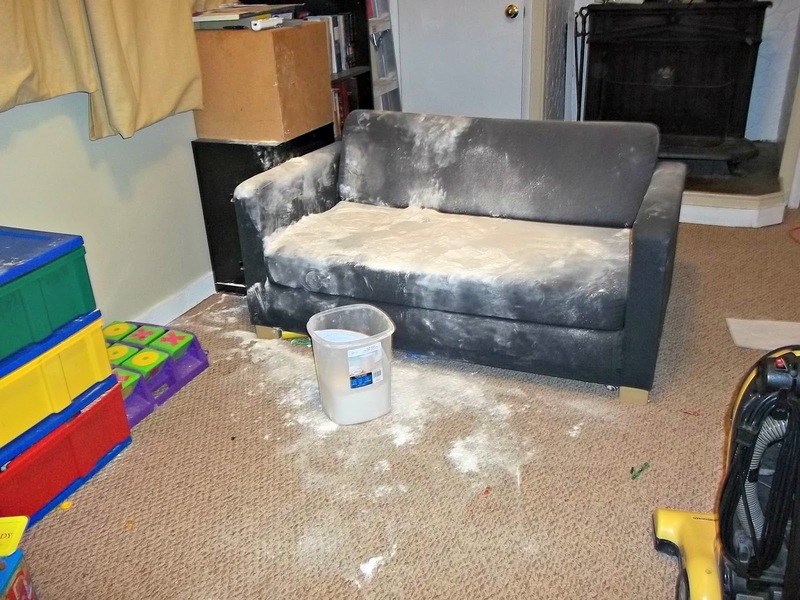 Messy homes happen, but you know, so do clean ones. It's just a matter of perspective. HAhahahahaaha!!! I know it was not fun to clean up. They are adorable in all their glory, oops FLOUR. Yes, as moms we are always facing things that are out of our control…learning to embrace our days with grace!